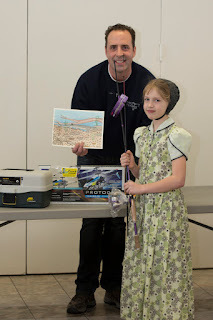 "The 2016 Youth Angling Card Artwork Contest attracted close to 300 entries (a new record!) 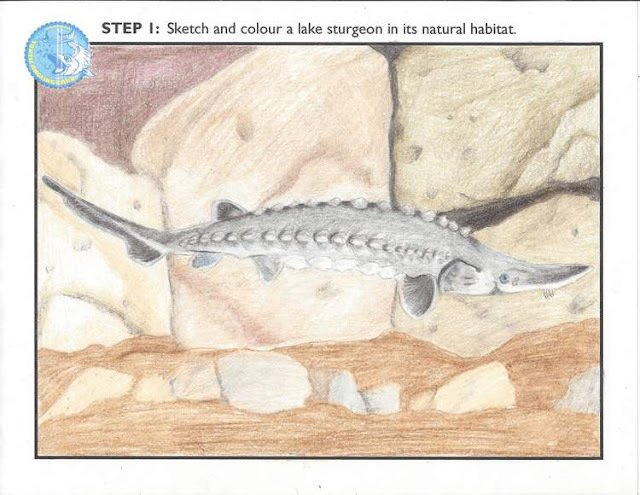 from students who submitted their artwork and a paragraph about the lake sturgeon. 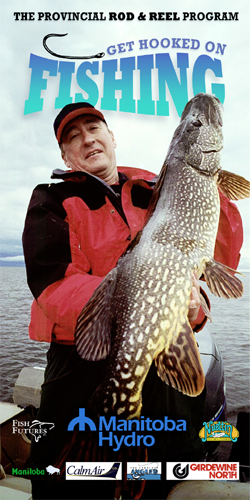 With the support of the Hunter and Anglers Preservation Fund (HAPF) and the Manitoba Lodges and Outfitters Association, Don Lamont and John Toone visited schools across Manitoba to share stories about fishing, fish and conservation. 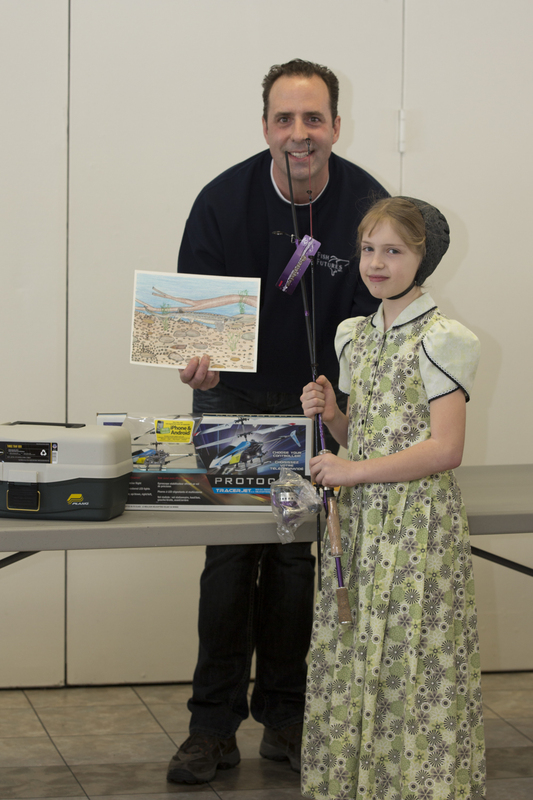 The 1st place winner in the Middle Years Division is Erin Waterer of Balmoral, MB for her artwork Armoured Torpedo. Erin's picture of a lake sturgeon will appear on the front of 40,000 Manitoba Youth Angling Cards that will be distributed for free to young people this season along with a message of stewardship. The 2017 Contest will launch soon, and this year's feature fish is the freshwater drum. Thank you to the teachers who support outdoor education, including Byron Apetagon of Jack River School in Norway House and his Grade 4 to 6 students who submitted some fantastic pictures of "Namew".